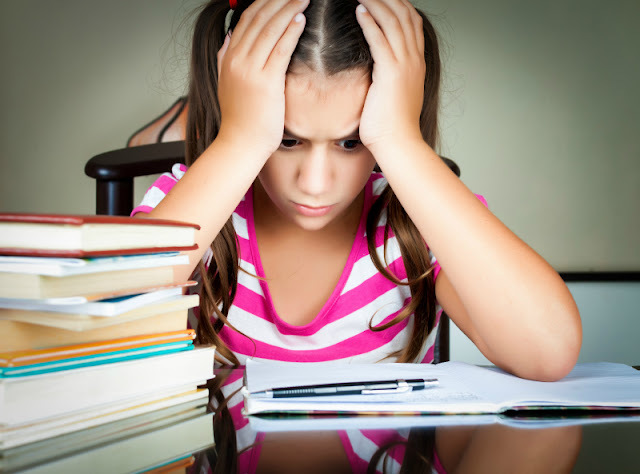 While Smarty's school is great, unfortunately, they don't have a formal art class, and kids only create art in the context of other projects, usually in social studies curriculum. 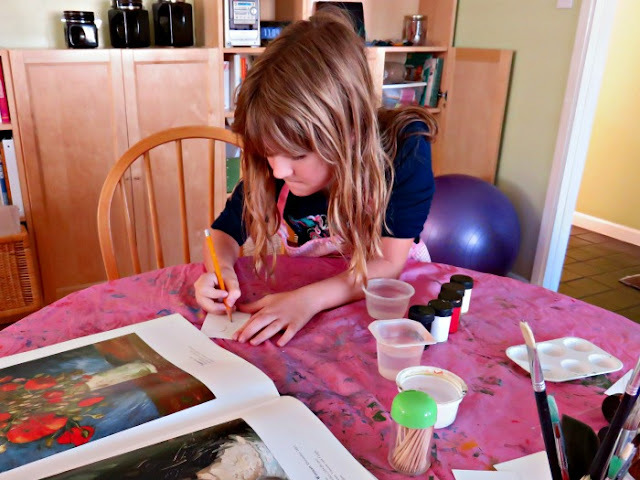 I would like her to know more about great artists and their styles, and we were happy to join an interesting initiative with a group of my online friends, mostly homeschoolers. 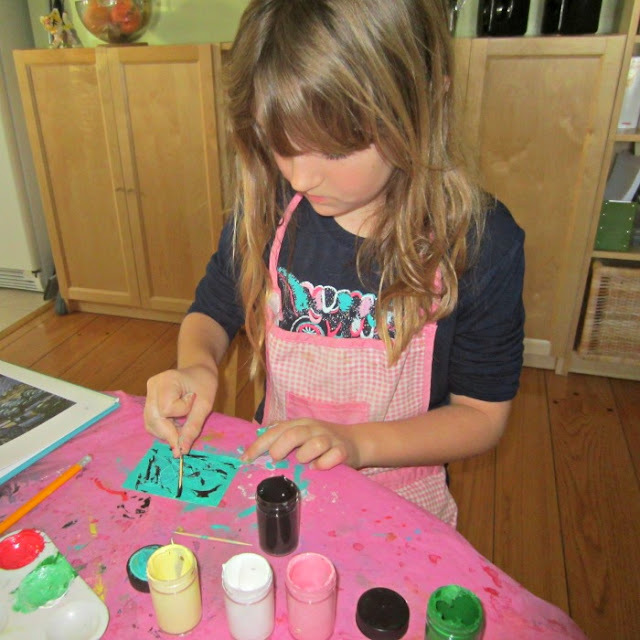 This initiative is an artist trading card exchange. I didn't know about artist trading cards before joining the project either, but the idea is to create "art miniatures" in the size of regular trading cards - i.e. 1.5" x 2.5" and then exchange your art with other participants. In our group, we decided to have "an artist of the month" theme, and January artist is Van Gogh. 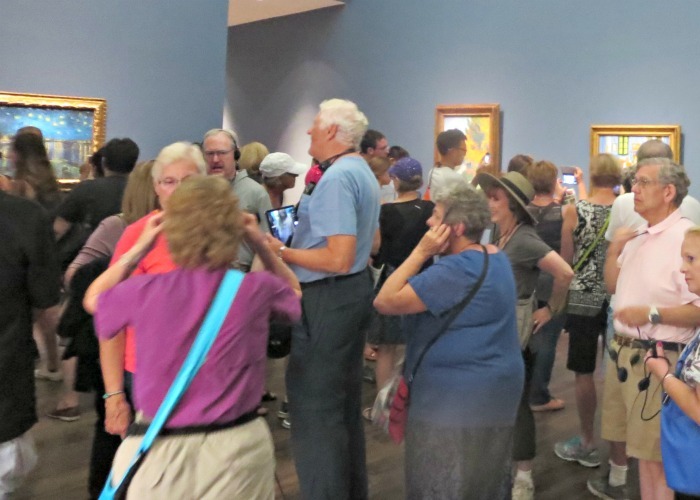 Last summer, my husband and I went on a trip to Paris to celebrate our 10th wedding anniversary and we had a dubious pleasure of seeing Van Gogh original paintings in Musee d'Orsay. I say that the pleasure was dubious, because the museum was incredibly crowded as you can see in the picture above. I am sure Van Gogh would have been amazed to learn how popular his paintings became after his untimely death by suicide. Last time, when Smarty learned about Van Gogh as a young kindergartner, we did not go into details about Van Gogh's personal life. Now we learned more about him including his struggle with depression through Vincent Van Gogh book by Mike Venezia. Since Van Gogh happens to be one of our favorite artists (both for me and my husband), we have a nice "coffee table book" with reproductions of his drawings. 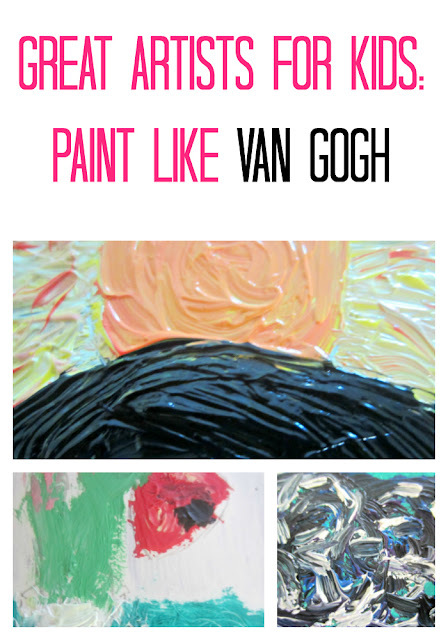 Smarty chose three paintings that appealed to her - the "rule" was that participants could try to copy an entire painting, some part of it, or just do their own work in style of Van Gogh. Smarty chose some sort of combination of all three approaches. Her favorite works were Poppies, The Sower, and, of course, The Starry Night. 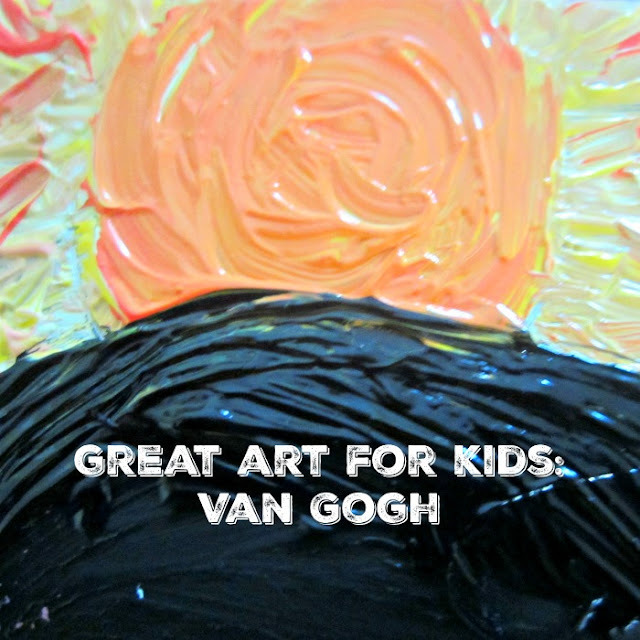 Van Gogh actually painted with oil on canvas (or on burlap, since he had to use cheap supplies), but we did not have either and Smarty used thick white cardboard and acrylic paints. Our paint was pretty thick, and Smarty used toothpick to create texture "apres Van Gogh". Those are some of my kids' favorite Van Gogh pieces as well. Van Gogh really does have a distinctive style. There's a Doctor Who clip where Van Gogh gets to hear how modern people view his work, and it's pretty amazing clip.